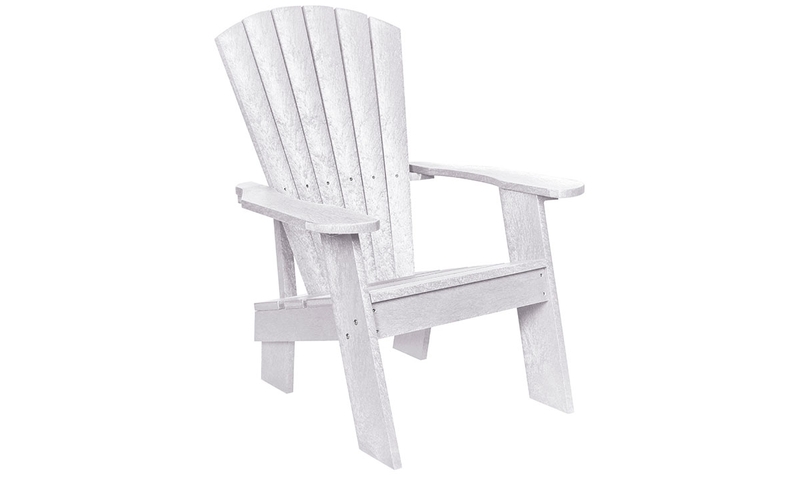 Invest in worry-free comfort for your yard or porch with this white Adirondack chair. 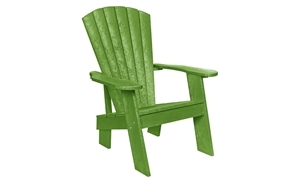 It’s made in Canada with marine-grade stainless steel hardware and heavy-duty plastic lumber crafted from 95% recycled materials. This creates a 58-pound piece that won’t blow away in the wind, or splinter and rot in harsh weather conditions. The curved ergonomic design of this chair creates a relaxing cradle for your back, finished with a wood grain and UV-stabilized color for a classic look that lasts.